There have been 9 units sold in this building in the last 12 months. The last unit in this building sold on 4/9/2019. Click here to get the details of all closings in the last 12 months. The 304-unit Anderson Ocean Club condos for sale are among the newest and most luxurious in Myrtle Beach real estate. 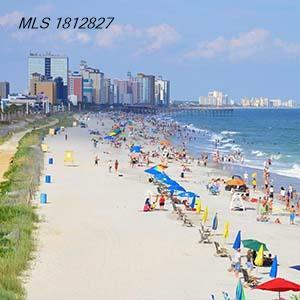 These upscale oceanfront condos for sale are located in the heart of Myrtle Beach and just a short drive to Broadway at the Beach, the Convention Center, all area attractions and the Myrtle Beach airport. In addition, the Anderson Ocean Club is less than a mile from the new Myrtle Beach Boardwalk and Promenade, and is convenient to a wide array of shopping, dining and nightlife. Come visit this property for yourself, and see how the finest furnishings and decor paired with breathtaking oceanfront views make this one of the most popular properties in Myrtle Beach real estate. For additional information, call Century 21 Strand Group at (843) 310-3747 today! Welcome to the official CENTURY 21 Strand Group website for Anderson Ocean Club condominium sales.